Many of our enemies will try to tell you that THE ABOVE GRAPHIC REPRESENTS THE REAL TRUTH. 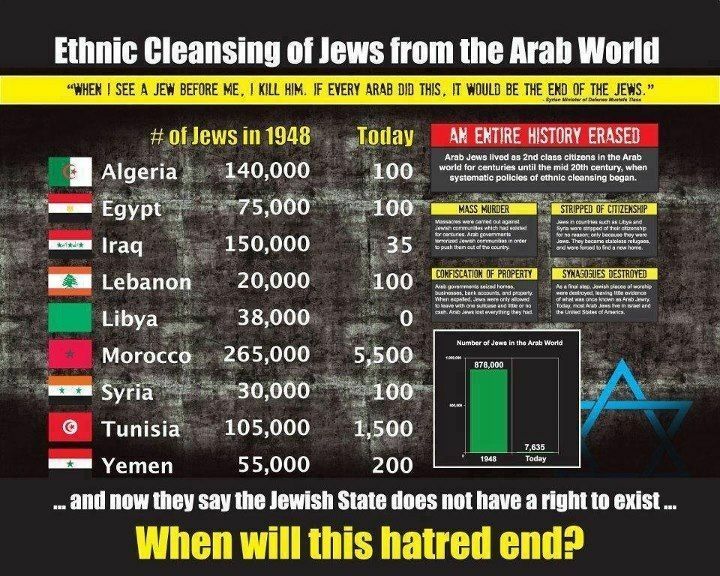 That IN ACTUAL FACT IT IS THE JEWS THAT HAVE BEEN ETHNICALLY CLEANSED FROM THE ARAB WORLD. The truth is, if we can repeat our message (the reverse) enough, then people will believe us. Just keep to the line of the Ethnic Cleansing of Arabs and we can really cloud the reality.